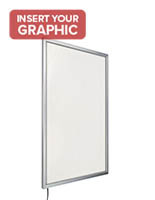 These lightboxes for 22x28 posters are more effective than static, unlit signage at promoting products and services in retail and eating establishments. Energy efficient LED light crystal bulbs have an average LUX greater than 4000. This lighting requires no heat-up time which is a boon for busy retailers. 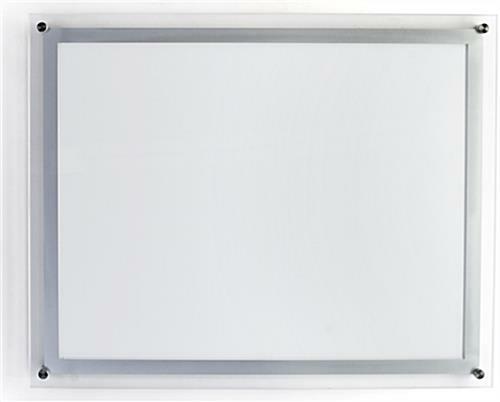 These lightboxes for 22x28 posters have a long power cord with a power switch located on the back of the unit. 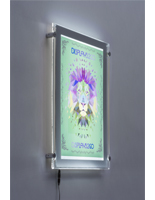 These illuminated poster frames with a silver border trim have a floating appearance on the wall that attracts attention from passersby. 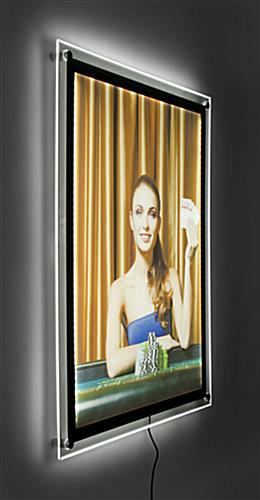 These lightboxes for 22x28 posters have a slim profile and beveled edge that does not distract from promotional presentations. 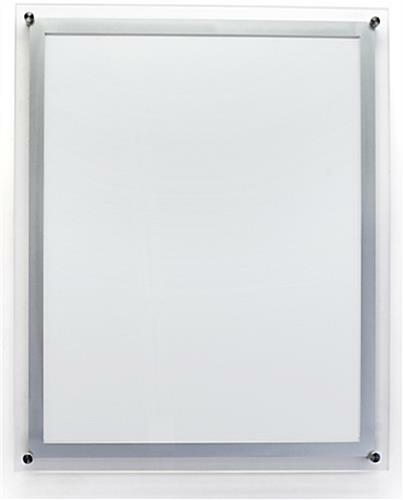 An acrylic faceplate and two silver sign standoffs keep graphics in place. 25.0" x 31.0" x 1.5"